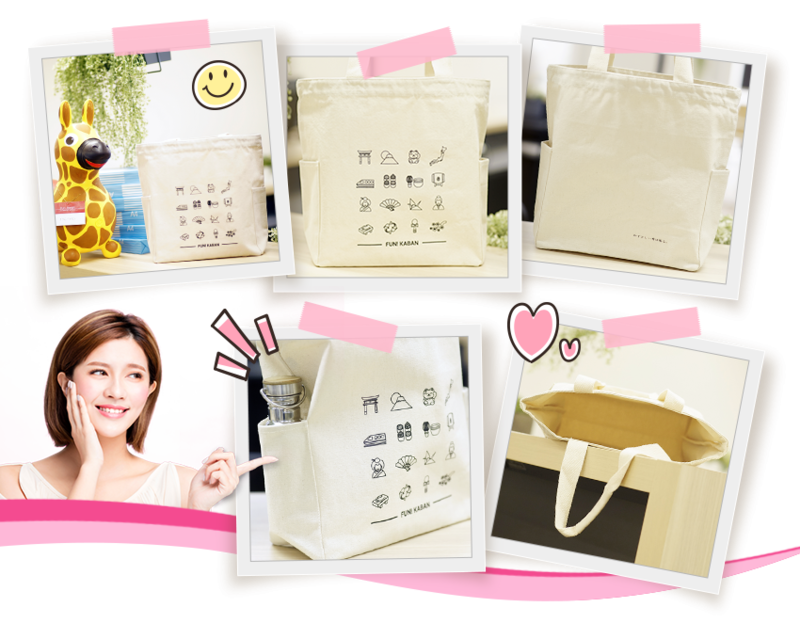 Greetings to all fans of Japan, let us introduce you to the recommended original bag by FUN! JAPAN! Only 80 pieces are available worldwide! Why don't get one for yourself?? 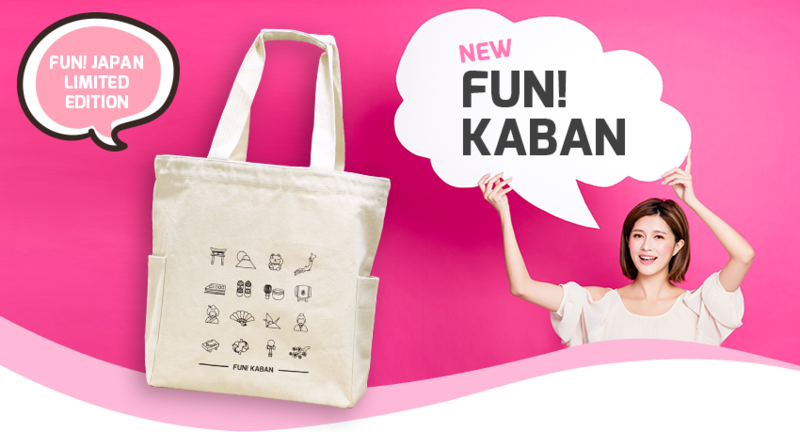 A KABAN (bag) that is perfect for everyone! Here’re the 5 reasons why we recommend it! Tote bag is very popular in Japan. 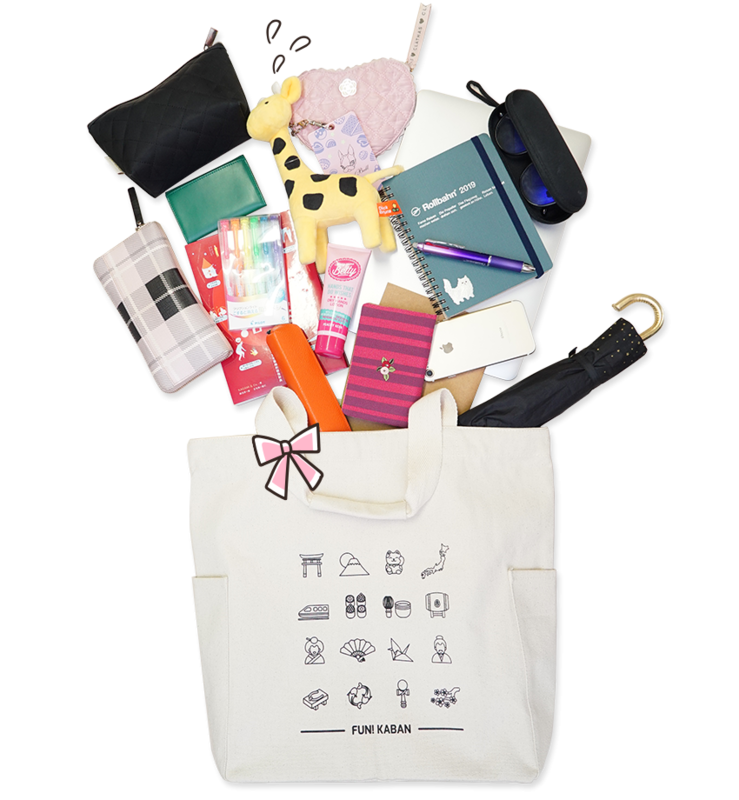 We have designed the tote bag with illustrations that are representative of Japan such as maneki-neko (fortune cat), sushi, maiko, etc. Arent’ they cute? You can either get one for yourself or give as a gift to someone! If you are a fan of Japan, for no mistake you will like it! ②	Useful for every circumstance. Large capacity and durable! This tote bag has a large capacity. Look, it can carry these amounts of things! 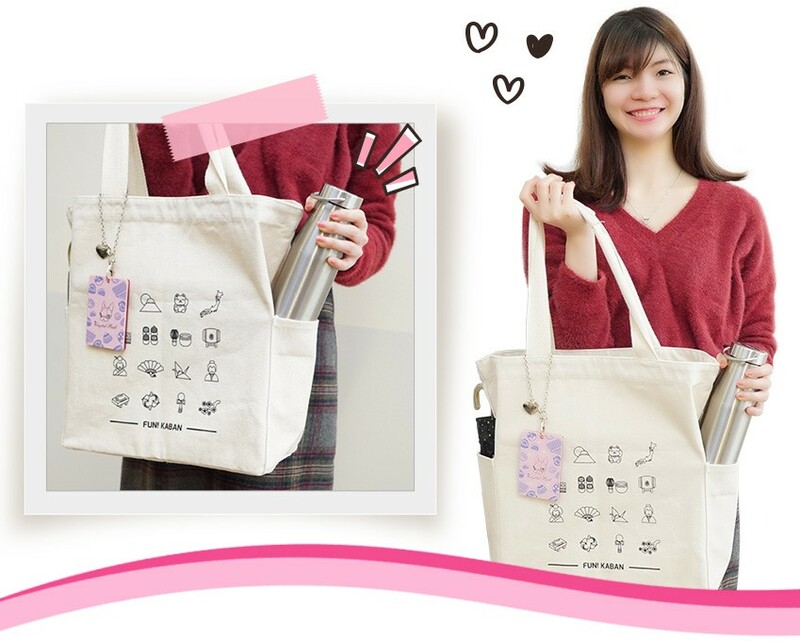 It is perfect for a day when you need to carry many items or heavy items♪ You can keep your PC or notebook and it is a convenient piece to use in the office. Put your smartphone, water bottle or things that you would like to have easy access to at the side pockets, then you need not to be panic when you need them! ④It matches well with all kinds of attire! The design is simple and matches perfectly with any attire! How would you like to match it to your fashion style?? 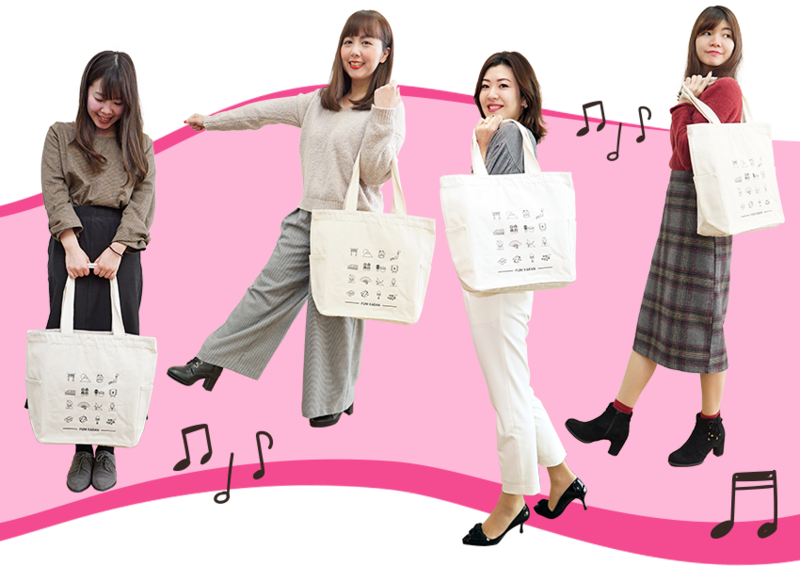 Since it is a limited-edition bag, do remember to get one for yourself! Free delivery and you can purchase it at 2,800 yen! We deliver to your home.